DECKING ADELAIDE IS A GREAT ALTERNATIVE! If concrete or pavers are just not your style, our quality hardwood decking will add a touch of class and beauty to any entertainment area, swimming pool or spa area or balcony. Decking is a great option for uneven, sloping surfaces, split level yards or raised areas as there is no need to retain or move earth to create a level site as you would need for concrete or pavers. Decking can be built as one flat area or be made up of multiple levels, incorporating stairs, ramps, built in seating, balustrades, gates, screening and more. The design options are endless! Hardwood decking Adelaide is also a great way to optimise an amazing view (if you’re lucky enough to have one) and it makes a beautiful non-slip area around a swimming pool or spa. 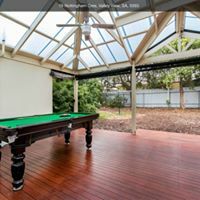 At Pro-Form Pergolas we like to use the best quality, most stable and durable Hardwoods available as we know that they will stand the test of time in our harsh climate. 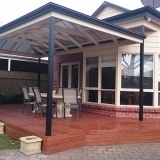 Kapur Decking – which is an imported Hardwood is light-redish brown in colour or Merbau Decking which turns chocolate brown over time – similar to jarrah or ironbark, are our preferred materials. 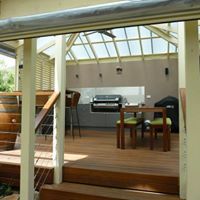 We are happy to build your Hardwood decking in what ever timber you choose, however, we recommend Kapur and Merbau as they require the least amount of maintenance compared to other timber options. For this reason, maintenance requirements should be seriously considered before choosing your timber decking. Generally Kapur Decking will need to be washed and oiled every 3-5 years if undercover or every 2-3 years if exposed to the elements. 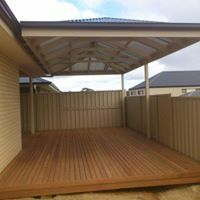 Merbau Decking Adelaide will need to be washed and oiled very 2-3 years if undercover and every 1-2 years if exposed to the elements. Washing and oiling your deck is a relatively quick and easy process so don’t be put off if you love the look of decking – its well worth it! 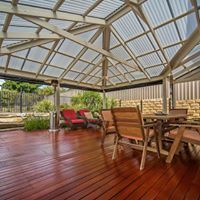 You cant go wrong with beautiful hardwood Decking in Adelaide to add warmth, character and value to your outdoor entertainment area. 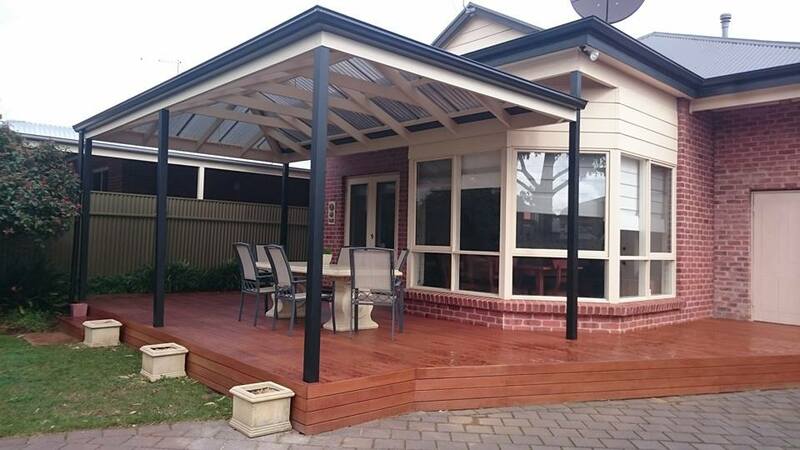 Pro-Form Pergolas can help you with all your Adelaide decking needs! For expert advice and great decking design ideas to complement your home call us now on 8258 9117, our mobile showroom comes to you!